Third-ranked women’s basketball (16-0, 2-0) defeated North Carolina State (12-3,1-1) 55-47 in their last game of 2017. Leading 41-18 in the third quarter, the Cardinals allowed a Wolfpack comeback that resulted in a tight game. With 16 straight victories, U of L sets a program record for most consecutive wins to start a season. They also tied the 2013-14 team for the longest winning streak in program history. 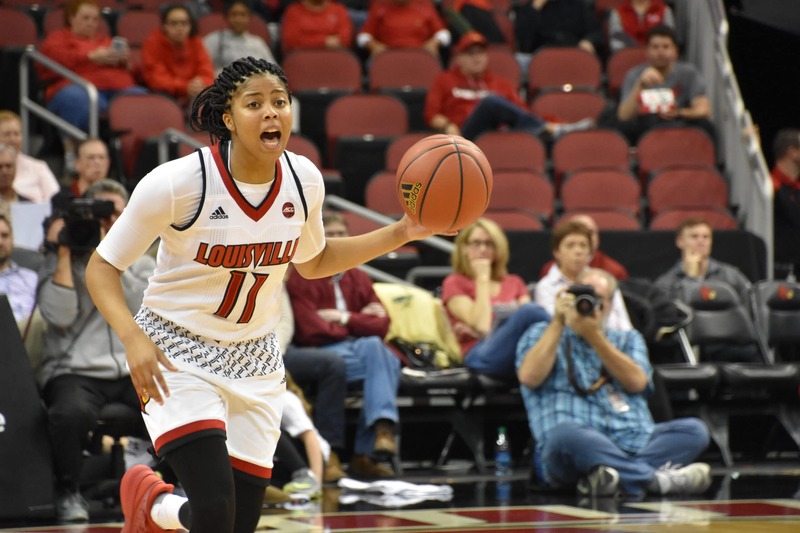 Senior Myisha Hines-Allen led Louisville with a double-double of 17 points and 12 rebounds. Junior Asia Durr added 17 points of her own. The first quarter was a breeze for the Cardinals, who found themselves leading 15-1 at the break. NC State missed its first 24 shots from the field. The second quarter was much of the same story. Louisville ended up shooting 57 percent from the 3-point range in the first half, and 41 percent overall from the field. NC State shot a mere 13 percent from the field. The Wolfpack come out fighting in the second half, and outscored the Cardinals 18-13 in the third quarter. When down 41-18, NC State began a 25-6 run that would put themselves within four points of Louisville. Despite the comeback, the Cardinals were able to withstand the Wolfpack with the help of Hines-Allen and Durr. Louisville hosts No. 14 Duke on Thursday night in the first of three consecutive league games at home.